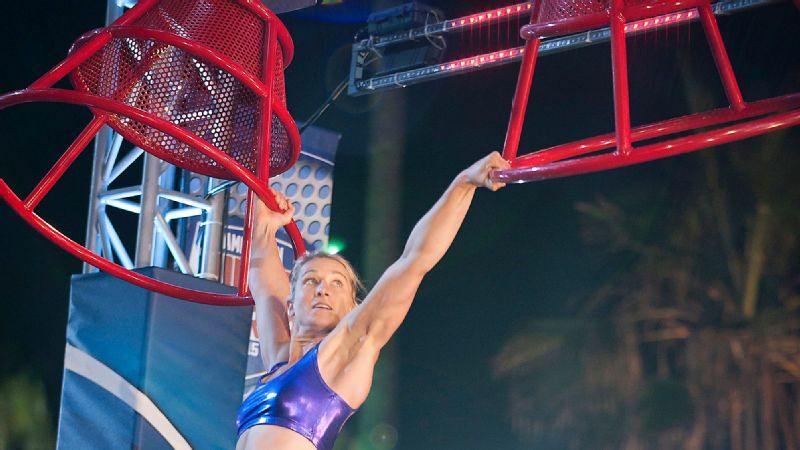 Jessie Graff attends the NBC's "American Ninja Warrior" Season 7 finale preview screening held at The Autry National Center in September 2015 in Los Angeles. City finals have begun, and Jessie Graff continues to dominate on this season of "American Ninja Warrior." Graff finished better than elite ninjas Kevin Bull, Flip Rodriguez and Grant McCartney. She is crushing her competition, men and women. The ninjas are coming. Here's how to prepare. The test of the night became the Wedge, the course's eighth obstacle, which took out many elite ninjas. "Before my run, I honestly didn't think I could do the Wedge," Graff said via email. "Based on how pumped my forearms were after the Ring Jump and I-Beam Crossing during qualifiers, I figured that my grip would be drained by the time I got there. I just knew that, to even stand a chance at getting through the Wedge, I would have to do everything faster and more efficiently than at qualifiers. "I never let my own perception of what's possible or impossible stop me from attacking the course with everything I have. By staying grounded in the reality of how difficult this challenge is, I am able to come up with the best possible strategy for success, and maintain maximum focus and alertness throughout the duration." 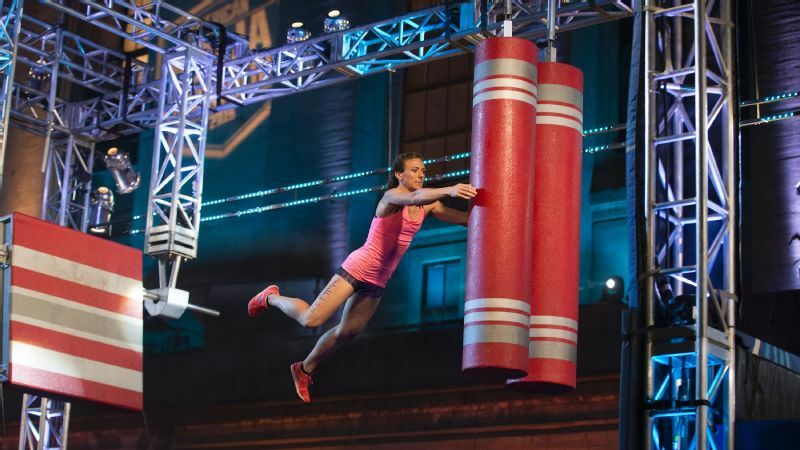 After she got through the Wedge, however, Graff was "pumped out," as the ninjas say; she had taxed her grip strength from the jerky movements of the Ring Jump, I-Beam Crossing and then the Wedge. As her grip slipped from the Helix Hang, she tried one last move to make a dismount possible, but her grip gave out. 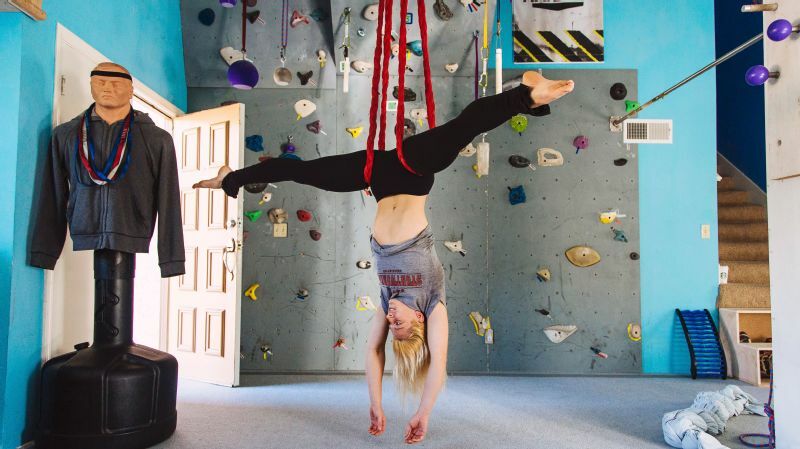 Graff has been training her grip strength through rock climbing for only a couple of years. "I've known from the beginning that it would take years to build the grip strength of an elite rock climber," Graff said. "I'm not there yet, but I'm really proud of how far I've come in such a short period of time." On a night with only one finisher, second place is a pretty sweet way to end the qualifying portion of the season. Graff is heading back to Vegas with an extra confidence boost knowing she can definitively beat the boys. "The impact of being first or 'making history' never really hits me until after the show airs and I start seeing how it's impacted the audience," Graff said. "I push my limits, and try to keep up with people who are stronger than me every day. Most of the time, I'm humbled with reminders of how much more work I have to do, and some days, I surprise myself. Deep down, I think I've always felt like I should be able to beat the boys, if I just worked hard enough and smart enough. It's an amazing feeling to see it actually happen." We're into city finals episodes, where the first six obstacles remain the same as in each city of qualifying (except for a couple of tweaks). In Los Angeles, a grip was added to the I-Beam Crossing to make the obstacle just a bit easier, while the steps were loosened on The Elevator to make it a bit harder. In city finals, the course builders added four obstacles on the second portion of the course (which we'll review below), bringing the total number of obstacles to 10. 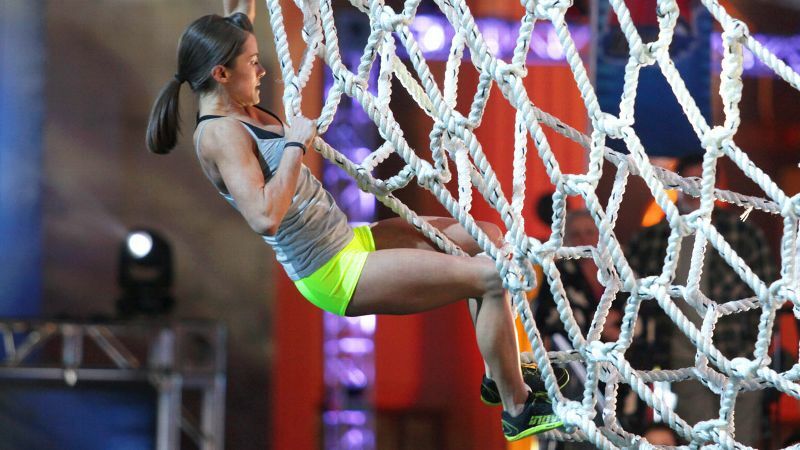 The first obstacle on the second part of each city finals course will be the Salmon Ladder unless there's a huge surprise. Ninjas hang from a bar and must propel jump their upward to jump the bar up the rungs and reach for the next bar. 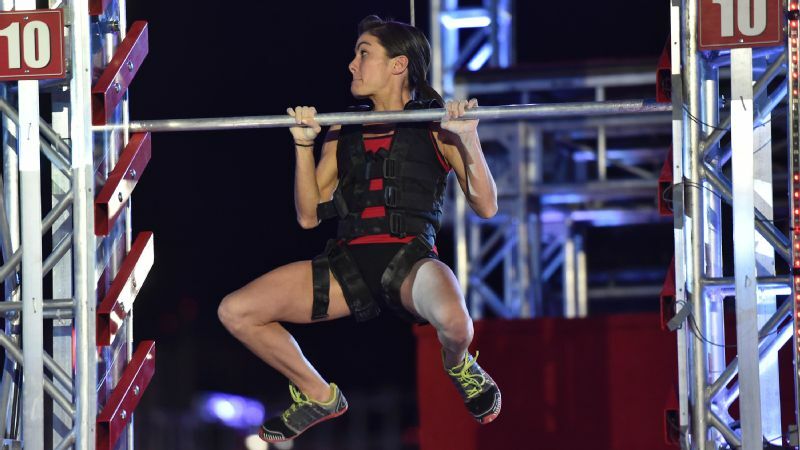 Kacy Catanzaro scales the Salmon Ladder in "American Ninja Warrior" Season 7. The eighth obstacle is most certainly a ninja killer. The Wedge took out many great competitors all night because of how tricky it was. Ninjas grip a bar that's placed between two Plexiglas walls and must hop it to the other side of the obstacle. One wrong move, and you're toast. The Invisible Ladder returned as the 10th obstacle. This will remain the same on each city finals course. Ninjas grab rings suspended from a hole in a platform and pull. When their movement stops, the ring catches their weight so that it looks like they are pulling themselves up a ladder, through the hole at the top of the finishing platform. Next week, we head back to Atlanta for the second city finals course. No women qualified for the finals in that region, but ninja great Drew Drechsel will be running, which is always exciting to watch.